The Montana World Affairs Council is proud to present a Benefit Concert to support Global Education Initiatives for Montana Youth. 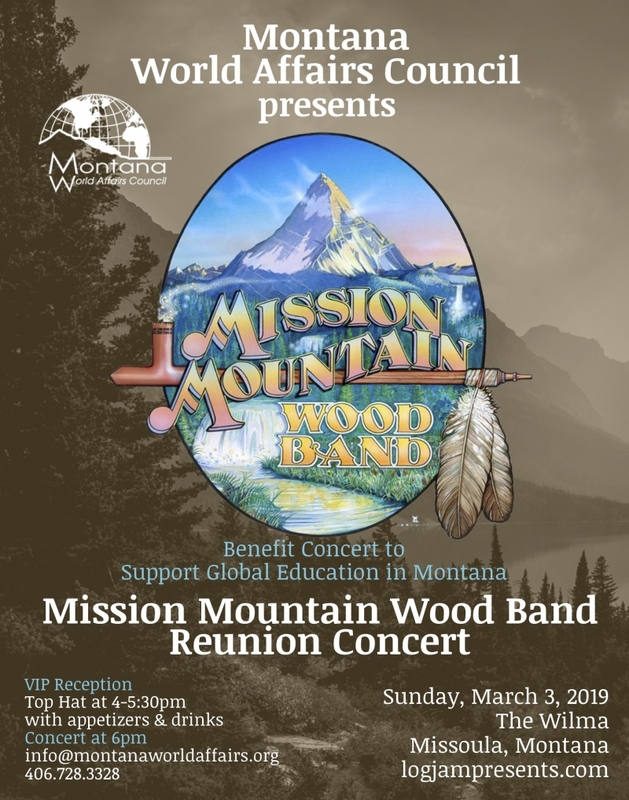 The benefit event on Sunday, March 3rd, features the Mission Mountain Wood Band in a rare reunion concert. It is one of Montana’s most popular, world-renowned home-grown bands, and we are thrilled to have them all together for one night, giving us a show like few others can. 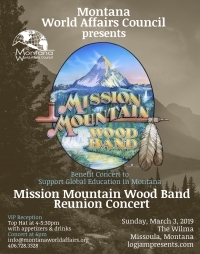 The Mission Mountain Wood Band is coming to Missoula’s historic Wilma and bringing their original special brand of musical entertainment which includes bluegrass, rock & roll, and country-rockin-Montana party music as they continue to do so year after year. They are a 6- piece band playing twice as many instruments and all of them hail from Big Sky Country. Your support of this benefit concert will help us reach more young people, do more outreach, provide more scholarships and bring more vital global affairs experts and international programs to our classrooms all across the Big Sky state. 100% of the proceeds will help to support global education for our youth, with a special emphasis on young people who live rural, remote and on reservations. Welcome to Events in Butte!